In 2010 former Scotland striker, Gary O’Connor, had his reputation damaged after being named by Channel 4’s Dispatches programme as having tested positive for cocaine in an FA drug test whilst playing in the Premiership. Often heralded as ‘role models’, sport stars are under pressure to behave well both when they play their sport, as well as in their social lives. It’s possible that the media highlight a few sport stars that are known just as much for their celebrity lifestyle as they are for their skills on the pitch. But there are many other athletes who really are hard working professionals, sticking to tough training regimes and living healthy lives in order to perform the best they can in their sport and reach success. We spoke to a couple of professional athletes who gave their views on drug taking. 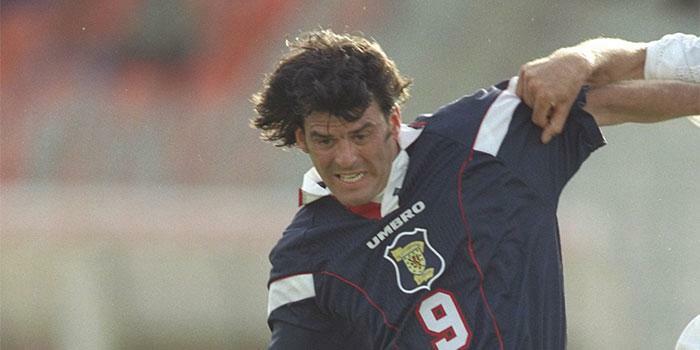 Former Celtic and Scotland star, Darren Jackson, said, “It’s every kid’s dream to be a professional sportsman and to be the best they can be, so why wreck the chance of being a role model for future generations by taking drugs and ruining everything that you worked hard towards. It’s not just footballers who understand the merits of training hard and avoiding potentially damaging substances like recreational drugs. With so many young people aspiring to be professional athletes, whether in football or another sport, it’s clear that hard work and dedication is a must. As is staying away from any substance that could impact on your sporting performance, your health and your social life. To find out more about cocaine and other drugs, take a look at our A-Z of drugs.